Home eyebrows Makeup Test: Wunderbrow - Does it really work? Happy Thanksgiving! I hope you're enjoying good food and quality time with friends and family. But if you have a little extra time on your hands, you can check out my new video while your food digest! I've been hearing some chat about this new brow product Wunderbrow. It claims to make your brows last for days. My friend actually gave me her tube so I thought, let's put this product to the test! Check it out! Per the website: Claims to water-proof, smude-proof, and transfer-proof due to permafix technology which also includes brows fibers to fill out the brows. Product is meant to be sheer to give brows a tint. Lasts for 3 days. To remove, they sell a product called Wundercleanse, an oil based cleanser used specifically for this product. 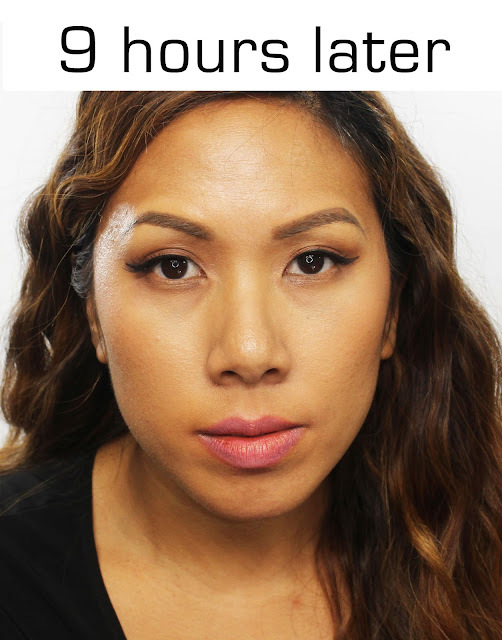 Step 1: Start with clean skin/brows. You can use a cotton pad with astringent. 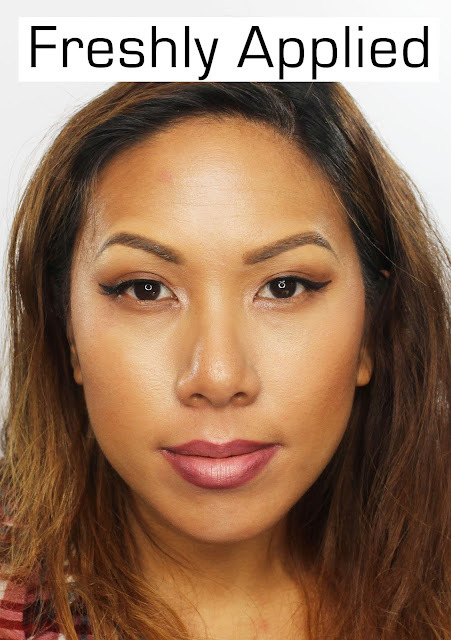 Step 2: Start on the outer corner of the brows first. You can apply the product to the back of your hand and dip it into an angled brush then apply to the brow. 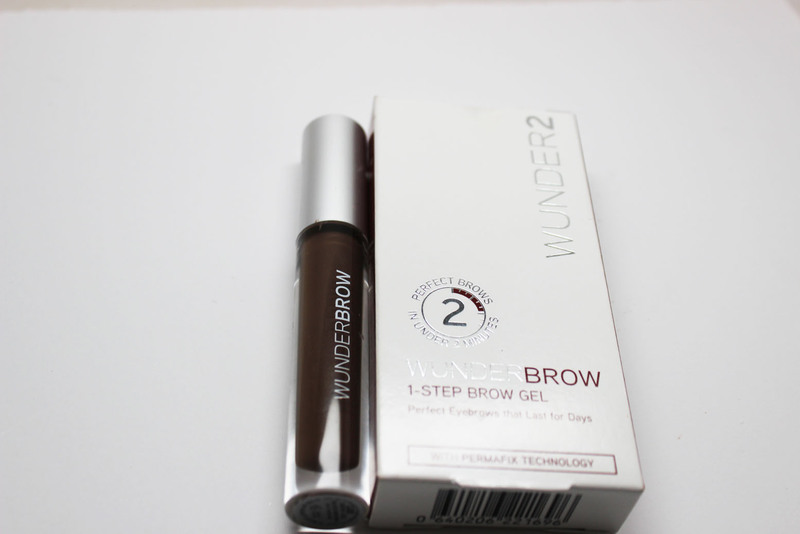 Step 3: You can also use the Wunderbrow wand directly. Step 4: Use a spooly to brush the eyebrows up. As you can see, the product actually comes in a lipgloss packaging. The applicator is a lipgloss bristled wand. Here is the product freshly applied. 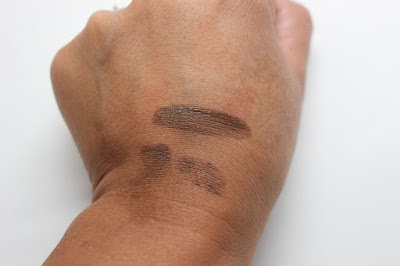 As you can see, the shade isn't a true black/brown...more on the taupey side. It was a bit tricky to apply. I used an angled brush, a spooly, the actual product applicator as well as concealer around the brows. It took me about 6 minutes to apply vs the stated 2 minutes on the product's website. Here is the product 9 hours later after a full day. The product did not fade at all. I did notice the color seemed to darken to a dark brown over time. The texture of the brow does feel fuller with the mini fibers mixed with the sheer tint. 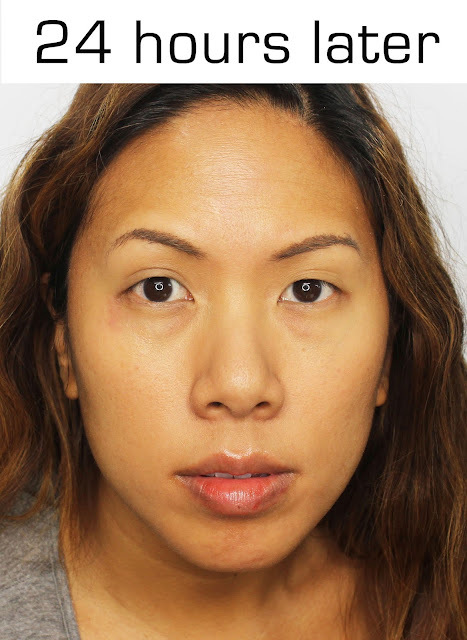 And here is the product after sleeping in the brows overnight. As you can see, the product faded where I don't have actual brow hair. My brows also had lint stuck to the remaining product. It does feel a little clumpy as well. Overall, this is a pretty interested product. I think I prefer my typical brow routine of pencil, powder or gel to get more precision. I had trouble applying this product in areas where I don't have hair. I think this is a good product if you have pretty good brows already and you want a sheer tint - perhaps for playing sports or working out. But personally, I'll stick with my good old reliable brow products.